Pharma Franchise for Psychiatry Medicines – Neuro-Psychiatric medicines have huge demand consisting drugs like anti-psychotic, antiemetic, anti-seizures, painkillers,anti-depressants, antianxiety etc. Top Pharma Company’ Penardo Biotech provides best services in pharma franchise for psychiatry medicines drug/products range PAN India. A Trusted GMP- ISO 9001:2015 certified company, We bring a wide range of medicines that are used to treat, cure and prevent mental illness and disorder. These are subjected to different drugs dosage systems that you might want to take PCD franchise in states like Chennai, Himachal Pradesh, Mumbai, Banglore etc. The neuropsychiatry drug market is witnessing double-digit growth in recent few years with more patients coming up for psychological problems. This has increased the market demand bringing more space for pharma franchise for psychiatry medicines. Penardo Biotech provides you a chance to put a step forward by bringing you quality DCGI & effective medicines covering analgesic tablets, antiemetic’s capsules, oral dosage formulations, injectable medicines etc. at an affordable range. The company is certified by the standard quality units like GMP and WHO. 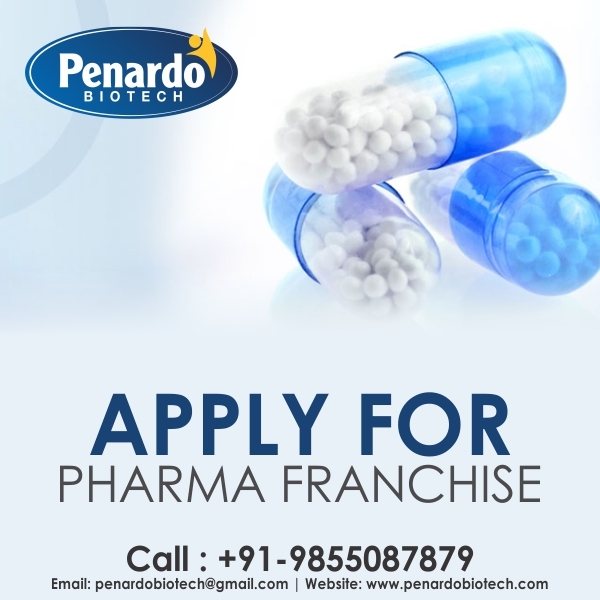 Penardo Biotech comes with the best possible reasons to invest the money in pharma franchise. You can contact our experts to know more about it. Our contact number is+91-9855087879 to talk to us or simply or email at penardobiotech@gmail.com. What are Psychiatric Medicines and Its Demand in Market? Psychiatric medicines are the psychoactive chemicals that affect the brain or the nervous system. There are mainly five groups of psychiatric medicines that are the anti-depressant, antipsychotics, anxiolytics, mood stabilizers, and stimulants. All these medicines are used for different level or type of mental illness. Due to the increase in hypertension because of the competitive era, the use of psychiatric medicines has also been increased. One study indicates that the global depression drugs market is expected to see a growth of 2.5% between 2015 and 2020. The drivers of this trend are a growing decrepit population with mental ailments, as well as the increasing efficacy and decreasing side-effects of drugs. Penardo Biotech is capable of providing all the psychiatry medicines that are quality assured and are effective and safe in use. The products are manufactured under the strict guidelines of GMP and WHO. Penardo Biotech believes in transparent business that is based on ethics and dignity to provide the best opportunities to its business partners. We assure the timely delivery of pharma products so as to avoid the shortage of medicines. The company offers promotional gifts to enhance the working of our associates. We offer strategic and well-designed marketing and promotional tools to our customers. Our company has a vision of becoming the top most company in providing qualitative, effective and safe drug solution in the market. Costumer’s well-being is the primary focus of our company. We work with the dedication to give the best to our associates.